Bollywood superstar Aamir Khan yesterday released the logo of his upcoming film Thug of Hindostan and now he has started introducing the leading characters. The promotion strategy of Thugs Of Hindostan is to introduce the characters day by day. The introduction starts with Amitabh Bachchan's character Khudabaksh. 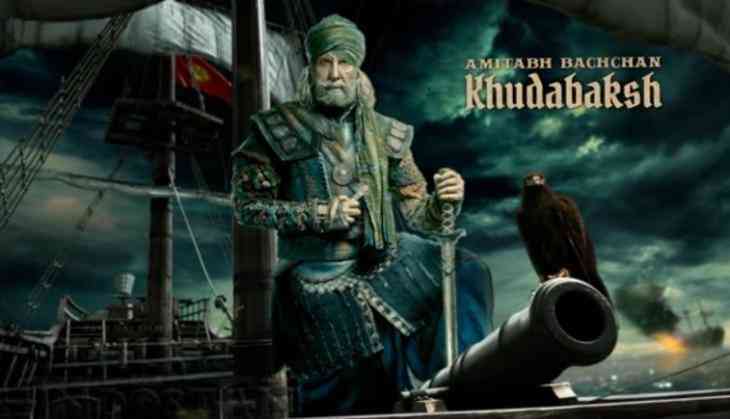 Aamir Khan and YRF team introduced and revealed the look of Amitabh Bachchan as Khudabaksh. It is already known that Amitabh Bachchan is playing a pivotal role in the film and his role will be like Kattappa from Baahubali series. The film Thugs of Hindostan also stars Fatima Sana Shaikh and Katrina Kaif in the leading roles and reports are that Ronit Roy is also playing important role in the film. Tashan and Dhoom 3 fame director Vijay Krishna Acharya directed this film is all set to release on Diwali 2018. The release date is 8th November 2018. This is second collaboration of Aamir Khan with director Vijay Krishna Acharya after Dhoom 3, whether his first collaboration with Amitabh Bachchan. However, with Fatima Sana Shaikh and Katrina Kaif, this is his second film after Dangal and Dhoom 3 respectively.